MCskill ThaPreacha makes history as he releases Nigerian Hip Hop’s first ever cinematic trailer for his much awaited Diary of a Supernatural album which is set to drop on December 16th. The 20 track album which is produced, mixed and mastered by long time producer “Stormatique” features Nigerian spoken word artiste “REZthaPoet“, American rapper AWKWORD, Zimbabwe’s “Synik“, Nigeria’s A-Q and much more. The album is now available for pre order on iTunes. 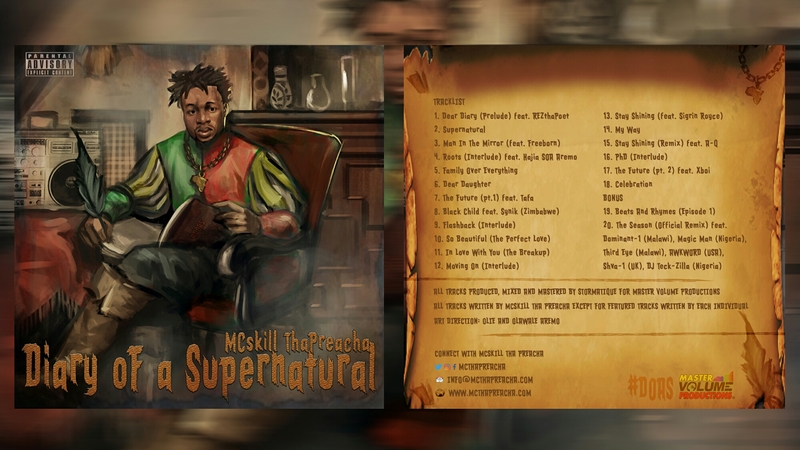 ← MCskill ThaPreacha Unveils “Diary of a Supernatural” Album Artwork.